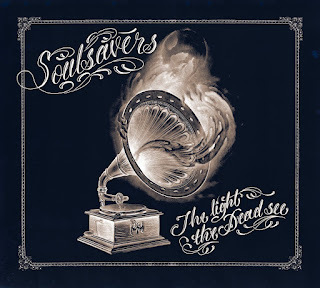 Soulsavers is the musical collaboration between producers Rich Machin and Ian Glover. They release albums regularly with a changing vocal line-up. In the past this was mainly Mark Lanegan, but also Mike Patton, Will Oldham and Richard Hawley among others contributed to some of the music. 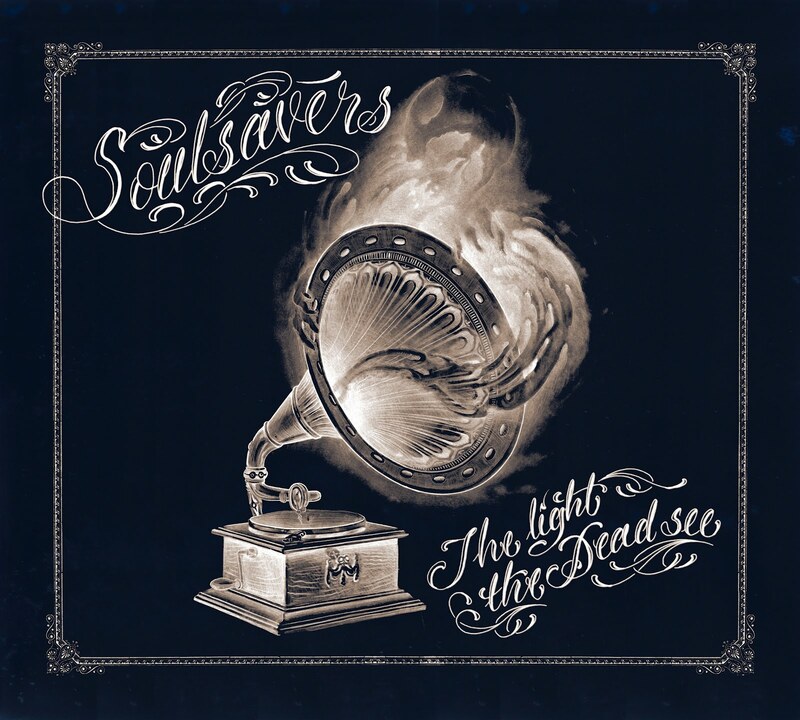 When Soulsavers are the support act for Depeche Mode's 'Tour Of The Universe' in Europe they get to know singer Dave Gahan better, which eventually leads to The Light The Dead See. It didn't result in a happy record. Which is not so strange, since Gahan never really wrote cheerful music. This is a perfect match for him. He's descending into the deepest and darkest crypts of his soul. There where no light shines any more, only the light the dead see. The album opens with an instrumental piece that will get you in this heavy mood. 'La Ribera' sounds like it was inspired by Ennio Morricone and could have easily featured in one of Sergio Leone's movies. This dramatic opening is the forerunner for Gahan's dark inner journey. The music has also shifted from electronic to more guitars. Despite the gloomy and somewhat uncomfortable mood of the songs, there's plenty to enjoy. They are a perfect fit for Gahan. His voice now and then sounds full of soul, like in 'Take Me Back Home', supported by an organ with the blues. In general the songs are slowly tearing along. Images of empty rainy landscapes are passing by. The glass is always half empty or actually completely empty. As Gahan is singing himself in the melancholic 'Longest Day': "This could be the longest day and the night has yet to come". But his voice is always warm and comforting. At times it will get a bit more sharp like in 'Gone Too Far', along with a gritty guitar. "There's no tomorrow only yesterday" he's singing in 'Bitterman' once more. The timing of this album seems a bit unfortunate in the summer, since it's a perfect fall album. But with the wet and cold weather of this month and the soaking wet summers we got the last couple of years, it may be appropriate after all. Just get in that sinking feeling and stare out of the window, while the lashing rain is rattling on the glass. Listen to 'The Light The Dead See' on Spotify.